Summary: In this interview posted on August 28, 2014, Gyakuten Saiban 5 (Ace Attorney 5 - Dual Destinies)'s producer Eshiro and director Yamazaki talk about the newly released iOS port of the game. They also talk about a character popularity poll held online, which featured both new and old characters. They also talk about non-game spin-offs of the series: some things they have mentioned in the interview have already come true now in 2016, like an anime TV series. 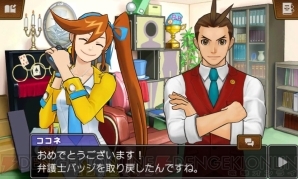 Interviewer: It’s been a year since the 3DS version of Gyakuten Saiban 5 (Ace Attorney 5 - Dual Destinies) was released. How was the reaction of the users after the release? Eshiro: We had a lot of feedback after the release, saying that the graphics had evolved a lot, and that the users liked Odoroki (Apollo Justice)’s role in the story. At the theater where the play Gyakuten Saiban - Gyakuten no Spotlight (‘Turnabout Trial – Turnabout Spotlight') was held in August 2013, fans said to us: “Thank you for giving Odoroki a role like that!” thanking us like they were his mother. There was a six year blank between the releases of Gyakuten Saiban 4 (Ace Attorney 4 – Apollo Justice) and Gyakuten Saiban 5, so we were able to put quite some effort in the scenario. We prepared great scenes for both Naruhodo (Phoenix Wright) and Odoroki, so we got a lot of positive reactions to that. We lowered the difficulty level a bit for the game, so we get reactions from people who love difficult mystery games they wanted something more rewarding, so we will keep that in mind for the future. Interviewer: In the character popularity poll Gyakuten Saiban General Election, held during the Gyakuten Saiban 5 Nico Nico Live Broadcast, Odoroki ranked no. 1. I personally love him, so I was very happy with that! Yamazaki: I was really touched by that too! I really wanted for him to do well in the general election, so I was really happy. But I was also happy that the new characters also managed to get in the rankings. I thought it was amazing they managed to rank next to characters like Mayoi and Mitsurugi. I was really glad to see that the users have accepted the new characters. Yugami has his own group of big fans, and they even send in drawings of him to the series’ official fan club Gyakuten Tsūshin. 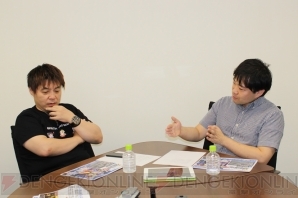 Eshiro: We worked quite a lot on Yugami’s story, so I think a lot of people felt for him. Yamazaki: Main characters like Naruhodo and Odoroki are very popular, so we need to have them in the spotlight, but we also need to have the other characters stand out. It is very hard to prepare moments for both sides, so I am happy that fans of the other characters were also happy. Interviewer: Are there other characters that ranked high that made an impression on you? Eshiro: Ban Gōzō, I’d say. Yamazaki: I was a bit surprised everyone online started using “Justice!” (laugh). Eshiro: I am happy we had a character whose catchphrase is being used everywhere. 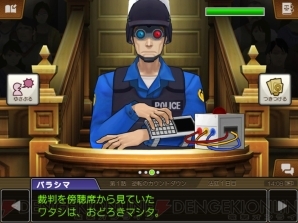 Gyakuten Saiban is not a game where only the characters stand center stage, but because they are all related to the drama and the cases in the games, I do think it’s very important to give them lines that stick, so the fans and users will remember them. Yugami also has a distinct way of speaking, and the development team really makes a point to pay attention to such phrases and speech patterns. 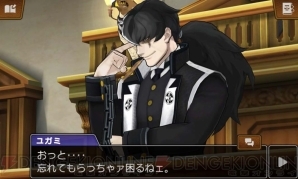 Yamazaki: Ichiyanagi Yumihiko is a character from Gyakuten Kenji 2 (‘Turnabout Prosecutor 2’), and I was really surprised he ranked in, even though he only appeared on one game. Eshiro: He becomes an important part of the drama from the middle part of the game on, so he probably became popular because of that. 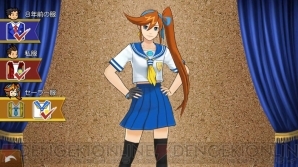 Ichiyanagi was really a character who was hard to create… But Yugami’s design was also difficult. 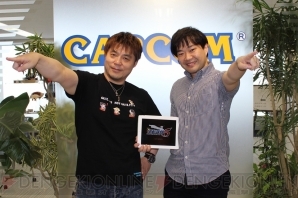 Yamazaki: To be honest, there are no characters that weren’t difficult to make (laugh). The Lengthy First Episode Is Free On iOS! 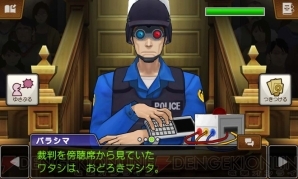 Interviewer: The iOS version of Gyakuten Saiban 5 went on sale just a few days ago. Could you tell us how you decided to release it on iOS? Eshiro: At first we only thought about releasing this game on the Nintendo 3DS, but that was also when game apps started to draw attention, so we decided to look if we could do something on smartphones, and we realized it was possible. We made one scene as a test, and while there were some problems, we had something we were content with, and we decided we could go with this. The 3DS and smartphones are pretty close in terms of touch controls, but we needed to adapt it for one single screen, so we needed to rethink the user interface (UI). But we thought that was also something that could be solved, so after the 3DS version was released, we decided to try it out. Interviewer: What did you think when it was finally running? Ehsiro: It was much better than we had initially expected, and we were quite content with it. We had expected that it wouldn't be running smoothly, but it rivals the 3DS version in performance, so we were convinced that this would be a product we could release. But it was not just a simple port, as we also needed to change the layout of the design and add iOS specific controls. While the resources and models are all precisely the same as in the 3DS version, the actual process became something closer to a remake. 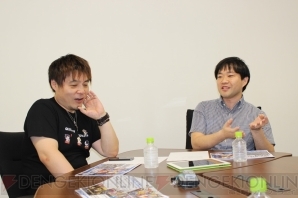 Yamazaki: The UI in particular was difficult. We had to rethink and remake the design so it would be easy to control on iOS and that took quite some effort. Interviewer: When I played it on iPhone, it appeared to me that the graphics are cleaner now. Did you redo the models for iOS? Eshiro: We redid nothing. Resolutions on iPhone, iPad and 3DS are all slightly different, and each device has its own characteristics, so it has its own unique look on iOS. Interviewer: Did you change anything besides the UI? Eshiro: It changed a lot on the inside. iPhone and iPad are not actually game machines, so there were a lot of things we needed to make to get it running as one. Yamazaki: To give a clear example, you can now control the Kokoro Scope (Mood Matrix) with touch control, so you can point things out more directly. We also made all kinds of detailed changes to the controls. We paid attention so people could play the game in a pleasant way. What’s also different is that the in the iPad version, the dialogue window is below and while in the 3DS version it overlaps with the art, in the iPad version you can see everything now, so that’s what’s changed. Ah, and also! Episode 1 is free! (laugh). Interviewer: Oh yeah! While the first episode of the Gyakuten Saiban series is always like a tutorial, Gyakuten Saiban 5’s first episode is very long. It’s pretty generous to give away the whole of Episode 1. Eshiro: Episode 1 of Gyakuten Saiban 123 HD (Ace Attorney Trilogy) on smartphones was also free, so I think the idea of having episode 1 has already taken root. So it look pretty petty if only half of Episode 1 of Gyakuten Saiban 5 would be free (laugh). Users would think: “Can’t I even play a complete episode…?” We can’t disappoint the users, so we too are happy the users can play the whole of the first episode. Yamzaki: Also, at the end of Episode 1 there is an animated scene that connects to the story from Episode 2 on, so it’d be nice if people would think: “What happened to Odoroki! ?” and they’d go play the rest. Interviewer: Was the price of the iOS version of Gyakuten Saiban 5 decided based on that of Gyakuten Saiban 123 HD? Eshiro: We decided the price by looking at the prices in the App Store and having the company make some adjustments. Buying the base game on iOS costs about 2,000 yen. The DLC Special Episode is 600 yen, Quiz Gyakuten Suiri (‘Quiz Turnabout Deduction’) is 300 yen, and the costume pack is 100 yen (tax included). Quiz Gyakuten Suiri was divided in three parts on the 3DS, but on iOS it’s 300 for the whole package. Interviewer: That’s quite a lot, all of the quizzes. Yamazaki: There are more than 70 quizzes, and just for 300 yen (laugh). 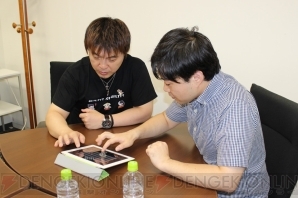 Eshiro: Also, for the development of this version we also looked at play methods that make use of iCloud. It’d be nice of people would play on their iPhone outside, and then get home and by sharing save data through iCloud, they’d continue playing on the big screen of the iPad. It’s nice you can play outside on your iPhone, but the screen is a lot smaller… I’d like if people could play on a large screen, where they can see more of the details. Using iCloud, you can play outside on the portable iPhone, and at home on the iPad with a large screen. Interviewer: What I personally want to know is why you decided to show the remaining battery and a clock on the game screen? It’s a bit simple but very convenient! Eshiro: An iPhone is a phone in the end, so we put it in so you could see the remaining battery, so you’d never suddenly run out of power, making it impossible to make a call. Yamazaki: I think it happens quite often that you play a game too long and run out of battery. That’s why we thought it was convenient to show the battery. Eshiro: As for the time, the device is not actually a game machine, so having information like that on the screen is just convenient. Interviewer: On iOS you can download the episodes separately, so you can just play from Episode 3 or even Episode 5. What are your favorite episodes? Eshiro: I like Episode 2. The story about Great Kyūbi (Amazing Nine-Tails), or the Yōkai that was sealed away… I like scary and mysterious stories. I also like Episode 3, with the school as its setting. Eshiro: The users really liked Episode 3. It has all kinds of great moments, like Ban’s “Justice!” from the window (laugh). Yamazaki: The characters might be even too unique there (laugh). Interviewer: And what is your favorite episode? Yamazaki: I like the last episode best. It’s a grand finale, so it has everything, from Odoroki’s role to the appearance of Mitsurugi. But I can’t have people just start with the last episode… (laugh). So I think I will recommend the Special Episode. It’s a very entertaining episode, and the overall story stands on its own, so I think people can play this very easily. Interviewer: Could you tell us about what makes the separate Special Episode Turnabout Reclaimed something to look at? Eshiro: It’s a very Gyakuten Saiban-esque episode, where you defend a killer orca in an aquarium. Yamazaki: The first time I proposed we’d do a story about defending a killer whale, everyone asked if I was an idiot (laugh). It’s a situation that could only be done within the Gyakuten Saiban series, and a situation that only Gyakuten Saiban could do. I think it’s become a mystery and drama that could only be pulled off because of this situation, so I am glad we did this. Eshiro: I thought that it wouldn’t be fun if we just had an aquarium as the setting, but the concept of “pirates” has been used throughout the story, so I think it’s a really easy-to-get-into story. And you shouldn’t miss the animated scene with the song. Yamazaki: We had a lot of animated scenes that looked good, not just with a killer whale, but even with a sword fight. Eshiro: We’d be happy if you would purchase the episode. It costs 600 yen (tax included), like all the other episodes. We think that we managed to present quite a lot of game for that price. A Drama As The Next Step for Gyakuten Saiban? Interviewer: What direction would like to go with future developments in Gyakuten Saiban series? Eshiro: Last year, playwright Mr. Ōzeki of the Super Eccentric Theater created a theater play, which was in a different style than the ones by the Takarazuka Revue. It was fun seeing something we hadn’t done in the games. Being surprised by what comes next is really Gyakuten Saiban-esque. The fans are also always very persistent in asking for an anime adaptation, but it takes a lot of time to get a project like that going, and we just couldn’t get that done, for reasons like just not getting the timing right. But, I think a simple anime adaptation would be boring, so if we could make it happen, I’d like to do something special with it. And personally, I’d love doing a live action drama series. In late night block, 30 minutes. There are quite some unique series in the late night block, so I think Gyakuten Saiban would really fit there. Yamazaki: I’d like to do a drama too! I really want to see that! And I also think it’s about time we had another concert. Can we do that? Eshiro:… I’ll think about it (laugh). Yamazaki: And perhaps some real-life experience. Lately, we’ve seen things like real-life escape rooms and other real-life events, and the users have become quite accustomed to seeing game contents in the real world. I bet there are all kinds of ways of getting people to become a defense attorney themselves and have them investigate a case. I’d want to have a real-life game event like that. Interviewer: It’s not quite the same as a real-life event, but the stamp rally you did last year, Keikyū Line Mystery Rally ~Turnabout Whistle~ was quite popular. Yamazaki: Ah, that’s right. It might be fun to have a stamp rally or a mystery tour where you'd stay over for one night. A bus tour might be fun too. Interviewer: Can we ask for one last message for the fans? 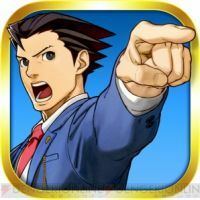 Yamazaki: I am happy that with the release of iOS Gyakuten Saiban 5, users who had not played the game yet have even more options to play the game. And I don’t just recommend it to people who haven’t played the game yet. I think that the users who have played the 3DS version will also find all kinds of new things if they play it on the iOS screen, so please all download it and try it out. We will do our best with the Gyakuten series in the future too, so please support us. Eshiro: I think there are also users who don’t own a portable game machine, so with Gyakuten Saiban 5 now available on smart phones a year after its original release, I hope they will all try out Episode 1 on their iPhones. I’d be happy if people who are interested, but haven’t played it yet play the game now. We have improved all kinds of things, like the UI, so it’s really easy to control, and it’d be great if you’d try it out on a big screen. The Gyakuten Saiban series won’t end with 5. We have Dai Gyakuten Saiban (‘The Grand Turnabout Trial’) of course, and we also need to consider what we’ll do after that. Whether that’s a game, or a collaboration with something else, we are always working to present something amusing to the fans who love the series, so I hope you can all wait until we can bring you new information.